A unique word search game. 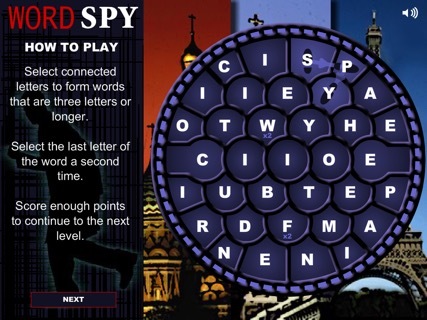 CleverMedia brings its classic word game to the iPhone, iPod Touch and iPad! This new version includes the original game plus three game variations. Find as many words as possible in three minutes on each level. Look for words made up of three or more connecting letters on the game board. Click on each letter of the word, in order, to select the word. Once the entire word is selected, click again on the last letter to submit the word. More points are awarded for longer words. You will be awarded additional points for multipliers and bonuses as they appear and you use them. You must score higher than the goal for a each level to continue to the next level. Plurals and proper suffixes are allowed, but proper names are not accepted. Brief Encounter: See how many word you can find in one minute. 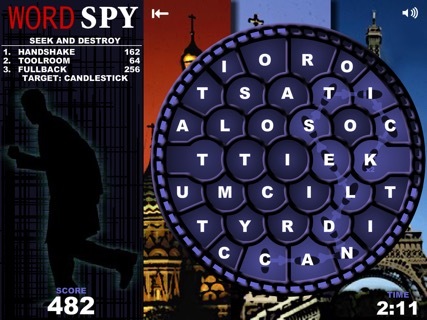 Seek and Destroy: Find the spy code word indicated. 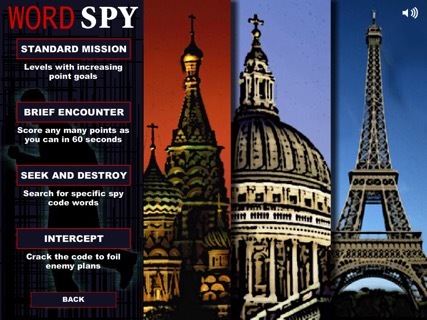 Intercept: Find the code word and its origin and destination. Very difficult! 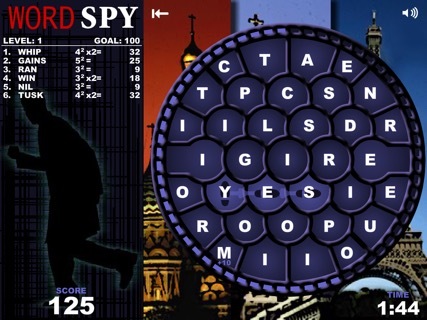 Word Spy keeps track of your best score for each of the game variations.